The Roystonea regia or the Royal palm has a stout, white marble column-like trunk; a huge, grass green crown shaft; and a handsome crown of large, feathery leaves. The Royal Palm, which is fast growing in ideal conditions, is thought by many to be the most beautiful palm in the world, and is widely planted as an ornamental. 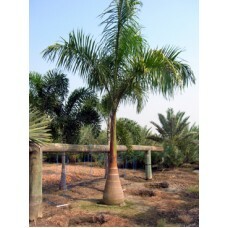 Mature Royal Palms can handle some frost and cold into the mid twenties when mature. 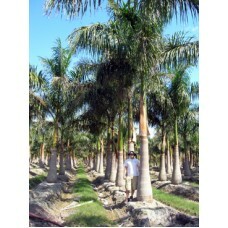 The Roystonea regia or the Royal palm has a stout, white marble column-like trunk; a huge, grass g..